Paseo Mallorca 14b, 7012 Palma de Mallorca, Spanje. Design hotel with spa in Palma de Mallorca. 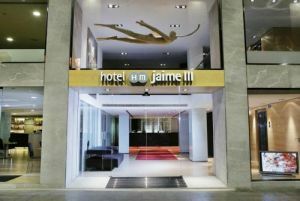 The Jaime III Hotel stands up thanks to its inner cared design. The contrast between the cold and warm colors in its decoration envelops the guest in a modern and friendly environment. 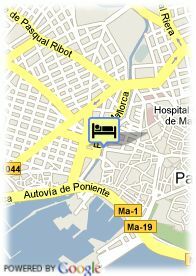 Moreover, the Jaime III Hotel is situated on the Paseo Mallorca, the most privileged area from Palma city. Among its facilities also stands up its complete gymnasium and spa area, where you could relax and be full with energy. The establishment offers 88 rooms equipped with the best services and equipments, where the most important is the guest´s comfort. A superior category hotel where to enjoy an unforgettable stay in Palma de Mallorca.